Knowledge : Kaku-Obi - KIDORAKU Japan - What a Kimonoful World! 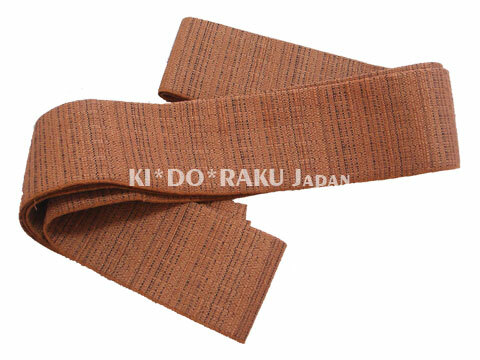 Kaku-Obi like a men's Fukuro-Obi. There is Kaku-Obi with the lining, and there also is no-lined Kaku-Obi. It's worn by men with all kind of kimono, it depend on their design. It's the only choice as men's formal Obi. It's around 10cm in width, and 400-420cm in length.